For many high school students, college seems like the only option after graduation. But for those hoping to work with their hands and go straight into the workforce, and earn while they learn, a career in the construction industry may be the perfect fit. 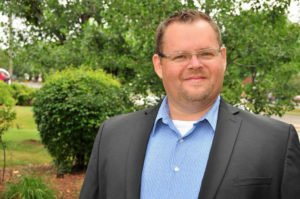 One school district that has taken the lead in developing alternative career pathways for high school students is White Bear Lake Area Schools (ISD 624). 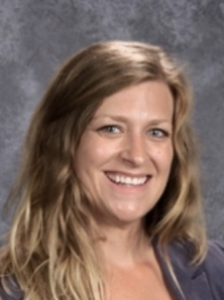 Jenny Moore, Career Pathways Navigator and Jeremy Kerg, College and Career Counselor lead the Career Pathways program at White Bear Lake Area Schools, says the program has been instrumental in connecting students with careers in construction as well as several other industries. “The program started several years ago when we received a grant to fund a program in manufacturing,” Moore says. “We experienced such a positive impact with the program thatWhite Bear Lake Area Schools decided to keep investing in the program to ensure all students are college and career ready post-graduation. 12. The program serves approximately 595 students, of which 65 students participated in the construction track during the 2017-18 school season. The Career Pathways Program welcomes all students, from those who choose to begin working immediately after graduation to those who decide to pursue a variety of post-secondary degrees. The school’s guidance counselors work with each student to develop a post-graduation career plan, which is required for graduation. In addition to attending classes specific to their career track, students can learn about different jobs over Lunch & Learns, listen to guest speakers, attend career fairs, and apply for internships in their respective programs. With the Construction Career Pathway program, students earn high school credits toward graduation while gaining real-life knowledge about the construction industry. The Construction Apprenticeship Preparation (CAP) program, administered through Construction Careers Pathways, a statewide effort to introduce young adults to careers in construction, provides the technical curriculum for the two construction courses offered by White Bear Lake Area Schools. CAP programs are offered by eight Minnesota public school systems, including Minneapolis Public Schools, Rosemount-Apple Valley-Eagan Public Schools, Bloomington Public Schools, Roseville Area Schools, Saint Paul Public Schools, White Beat Lake Public Schools, Mounds View Public Schools and South St. Paul Public Schools. Interest in the program is growing rapidly. High school students are not the only ones interested in learning more about careers in construction through CAP school curriculum. White Bear Lake Area Schools is introducing middle school students to career opportunities as well. “We have 25 students, in grades 5 through 9, who participated in the Construction Career Pathways’ Kids at Work summer program,” Moore says. Kids at Work is a hands-on summer experience for students in grades 5-9 that combines the fun and games of Science, Technology, Engineering and Math (STEM) with exciting activities focused on the construction building trades. “We hope that all of these students will be inspired to take Construction Career Pathway courses when they come into high school, and eventually pursue careers in the construction industry after they graduate,” she adds. 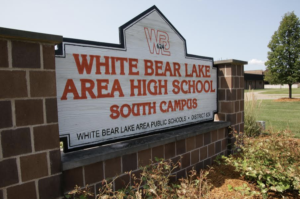 School counselors, career counselors and the Career Pathways Program at White Bear Lake Area Schools support and encourage all students to pursue post-secondary training and academic opportunities. When students are exploring apprenticeship opportunities and careers in the construction trades, faculty and staff are mindful to mention other important skills such as communications, professionalism and math. Like students, parents also need to be educated on viable post-high school options for their children. “We are starting the conversation with families about what it means to pursue a career in construction,” Moore says. Due to the Construction Career Pathway’s infancy, White Bear Lake Area Schools is working on gathering data for future analysis. Jennifer is highly optimistic that high school construction programs will have a positive impact on students interested in pursuing construction, engineering or technical careers in the future.